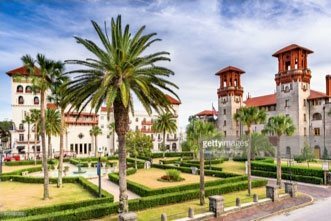 Book a room at one of the most romantic St. Augustine hotels. Agustin Inn combines the elegance of a historic home with the charm and hospitality of a bed and breakfast and the modern amenities of a luxury hotel. We are centrally located in downtown St. Augustine, just steps away from the best attractions, restaurants, and shops in town. Plus, with our wide array of rooms, a stay at Agustin Inn fits into any traveler’s budget. 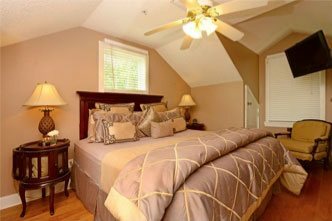 Agustin Inn is much more than an average bed and breakfast. Our staff is dedicated to helping you experience the best of what St. Augustine has to offer. There’s so much to discover in the Nation’s Oldest City, and Agustin Inn is located right in the heart of it. Each of the 18 rooms at Agustin Inn features top-of-the-line furnishings, luxurious linens made with 100% cotton sheets, and unique decor. Combine the beautiful decor with our wonderful amenities, and it’s no wonder that Agustin Inn has been the choice of hotel for so many visitors to St. Augustine. With 18 guestrooms from which to choose, you’re sure to find something that suits your needs and your budget. Enjoy all the incredible amenities Agustin Inn has to offer during your stay. 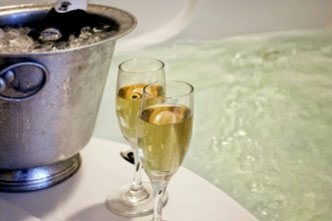 From the complimentary champagne toast when you arrive to the moment you check out, we hope that you have a stay like no other. We offer free parking to our guests as well as a free pass to Anastasia Fitness. Enjoy our 24-hour coffee station, where you’ll find a delicious cup of coffee as well as tea and hot chocolate available. Don’t miss our popular snack bar, which is stocked with freshly baked goods. Enjoy the beautiful St. Augustine weather in our private garden, which features seating, or our sun room. When you’re ready to explore the city, be sure to ask our staff for any recommendations. We’ll be happy to match you with the perfect restaurant or attraction. We’ll also let you know about any fun events happening around the city. Let us help you make your trip memorable! Look through our selection of packages and specials to enhance your stay with Agustin Inn. If you’re planning a romantic St. Augustine weekend getaway, adding one of our romance packages to your reservation is a great way to impress your loved one. If you’re hoping to take a tour of the city during your stay or create a more customized package, be sure to look at our selection of add-on attractions. Simply let us know at the time of reservation which of these tours you’d like added to your stay and we will be happy to arrange it. As always, you can always ask our staff for recommendations for romantic things to do in St. Augustine! 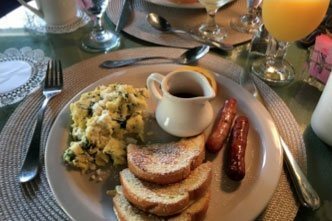 What’s a stay at the most romantic St. Augustine bed and breakfast without a breakfast? Every morning during your stay, you’ll be treated to a two-course, sit-down breakfast in our beautiful dining room. Each of the dishes prepared has been seasonally designed around using fresh, local ingredients. If you have any dietary restrictions, please let us know upon your arrival. We are happy to accommodate you in any way we can. 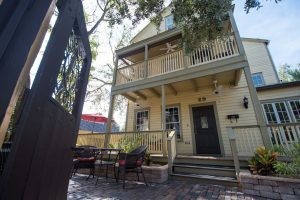 Agustin Inn is located in the heart of historic St. Augustine, just steps away from the most incredible and popular restaurants, attractions, museums, and shops in town. 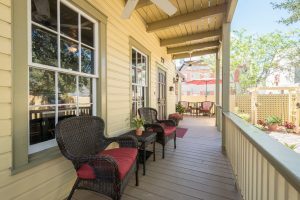 You won’t find an inn of this quality in a better location in all of St. Augustine.